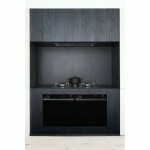 Categories: Appliances, Cooking, Microwave, Steam Ovens & Other Benchtop Ovens, Rangehoods, Refrigeration, and Small Benchtop Appliances. 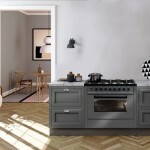 Design choice is a key factor in kitchen renovation; and accordingly, Smeg Appliances offers five distinctly different design aesthetics: from the modern vintage Victoria; timeless Classic; to the sleek Linear; colourful Portofino; and premium-level Dolce Stil Novo. 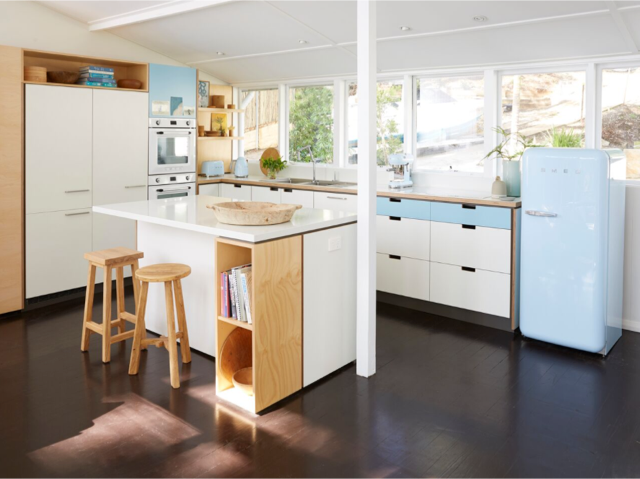 The owner of this 1950s beach house wanted a modern kitchen renovation that retained the home’s original retro aesthetics yet embraced modern technology. The kitchen is the place to meet, eat, prepare food and entertain; and the built-in Victoria collection, in white, was an ideal fit. 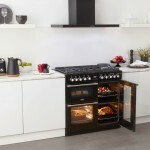 The made-in-Italy Victoria SFPA6925B Thermoseal Pyrolytic oven showcases the style and crisp white enamel of mid-century appliances yet houses the latest in 21st century technical excellence: Thermoseal oven technology to ensure optimal results; effortless chemical-free pyrolytic cleaning; cool door technology for reassuring safety; SmartSense 20 pre-programmed recipes for convenience; and a soft-close door. The matching Victoria SFA4920MCB Compact Speed oven combines convection and microwave cooking technology – simultaneously or separately – with a total of 18 functions. The Speed function will cook approximately 30% faster than conventional cooking; while the SmartSense intuitive programme selection provides 20 programmed recipes at the flick of a button. 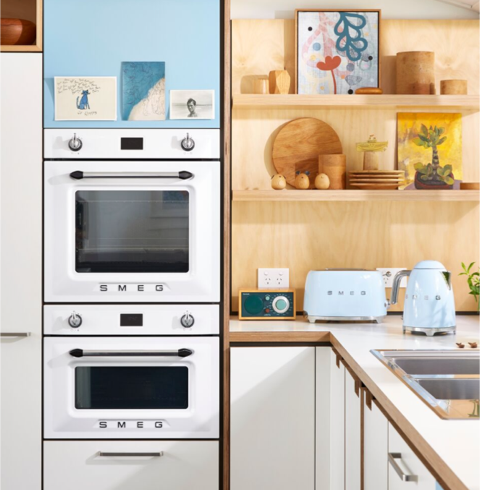 Slipping perfectly into place in this beautifully crafted white and timber kitchen, the 90cm SA190MW SmartSense Plus induction cooktop – in white – provides generous space for cooking; and extra bench space when not. 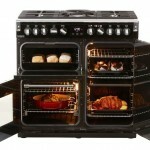 Ease of use, simple uncomplicated controls and easy clean are all key attributes of this cooktop. All six cooking zones feature Smeg’s Surface Share technology meaning they can be combined and operated with a single control. 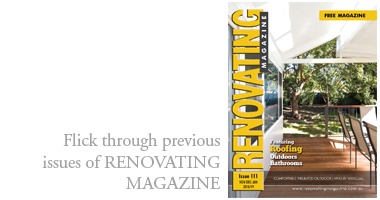 Every part of the zone, right up to the edge, is usable without any cold spots; and any shape and number of pans can be used on the single, shared surface. 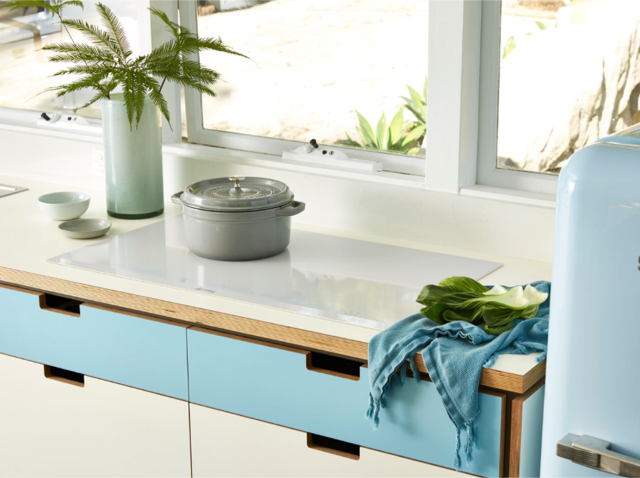 The kitchen has two refrigerators: the iconic FAB28 in pastel blue; and the cleverly concealed SRI300BM refrigerator/freezer fully integrated model. A true entertainer needs an advanced dishwasher that will give a fast and thorough wash every time. Smeg’s DWAFI6D15PO 60cm Diamond Series fully integrated push-to-open dishwasher, with its planetary wash system, produces spotless results for a 15 place-setting load while using a mere 9.7 litres of water. 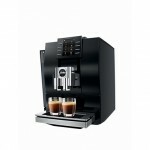 It features a Quicktime wash setting for each of its five programmes; and an impressive 6 star WELS water rating. 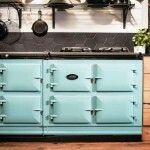 The overall kitchen design, in its beach house pastel blue and white, is complemented by the inclusion of Smeg’s small appliances in authentic vintage pastel blue: electric kettle; two-slice toaster; and espresso coffee machine.